With our ergonomic vacuum lifters, VacuEasylift and VacuCobra, boxes of various sizes and shapes can be easily handled. Lift and transport large boxes, open boxes, several boxes at the same time or lift boxes from the side without heavy manual handling. With VacuEasylift you can lift boxes, sacks, drums, sheets and much more. 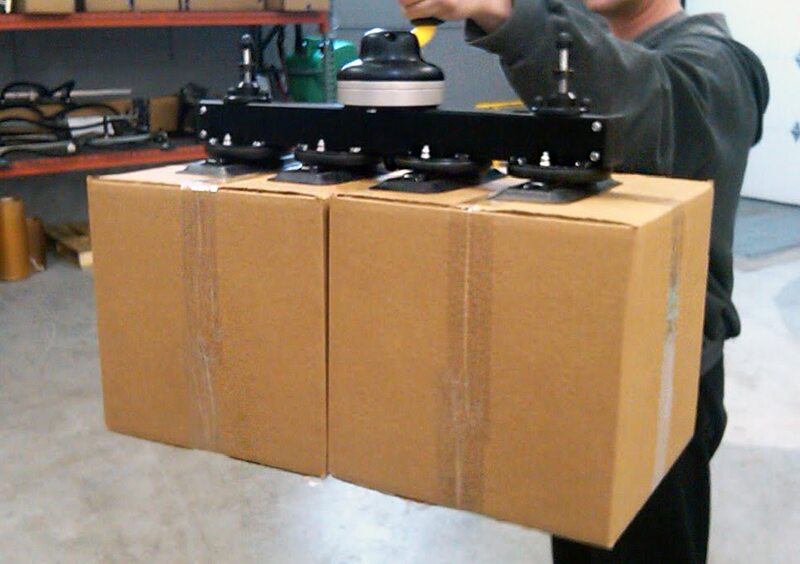 VacuEasylift makes lifting easy and safe in all possible working conditions. 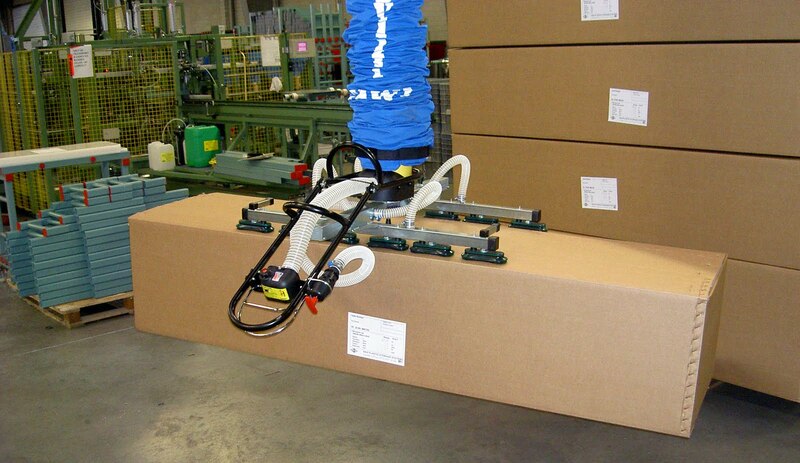 The VacuCobra is ergonomically designed for high speed lifting of boxed goods up to 50 kg. Do you need to lift and unload quickly? Then VacuCobra vacuum lift is the optimal solution. Systembolaget, a well-known Swedish retailer of alcoholic beverages, use our vacuum lifters for ergonomic box handling in over 400 locations. Click here to read more.